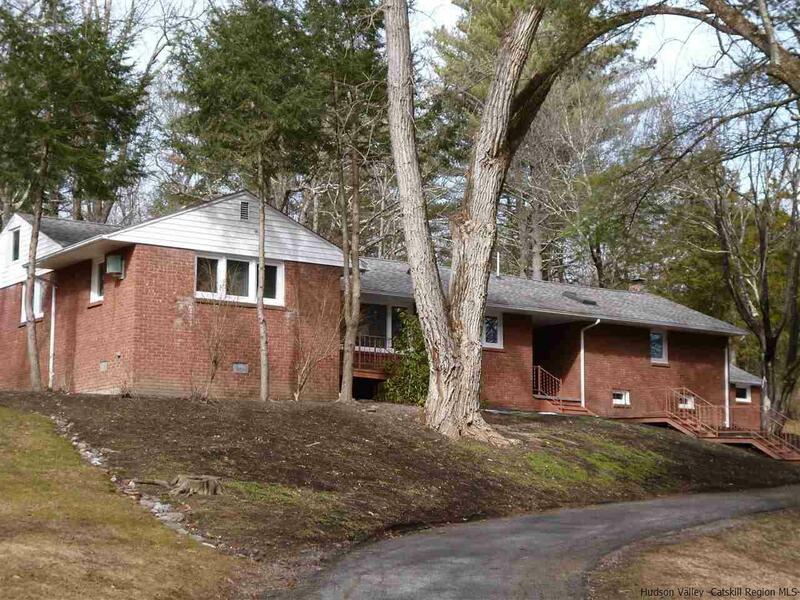 Welcome to your move-in ready and immaculately kept mid-century ranch. Sited on 2.3 acres with an adjacent and approved additional 1.7 acre building lot! Keep the house on all 4 park-like acres, sell the other lot or build another house for family or for profit. The choice is yours. Only 5 minutes to the trendy Uptown Kingston Stockade district, but with lower town of Ulster taxes. On the NYC bus route and the Wallkill Valley Rail Trail, the location is ideally central to all that the Hudson Valley has to offer! Wait, it gets better...This home has an attached accessory apartment, approx. 425 Sq. Feet, with enough rental income to cover your mortgage. Rent long term or use as an Air B&B. Separate heat, hot water and electric are already set up. If you want to spread out and use the whole space, the apartment could easily be converted to a "Master Wing". Or perhaps you have an in-home business or professional practice- this could be ideal with its separate entrance. All windows and doors have been replaced with Pella, roof is 6 years old, floors refinished, 2 kitchens and 3 baths newly updated, electrical re-wired, new gutters and leaders, new attic and floor insulation, water softener and UV sytems in place. Nothing left to do here but unpack! Bedroom 1 Room Size: 15'6"x11'7"
Family Room Room Size: 17'8"x11'6"
Living Room Room Size: 21x14'10"